Found 38 file extension associations related to GNU Emacs and 5 file formats developed specifically for use with GNU Emacs. A large number of extensions that add other functionality, including a project planner, mail and news reader, debugger interface, calendar, and more. Many of these extensions are distributed with GNU Emacs; others are available separately. 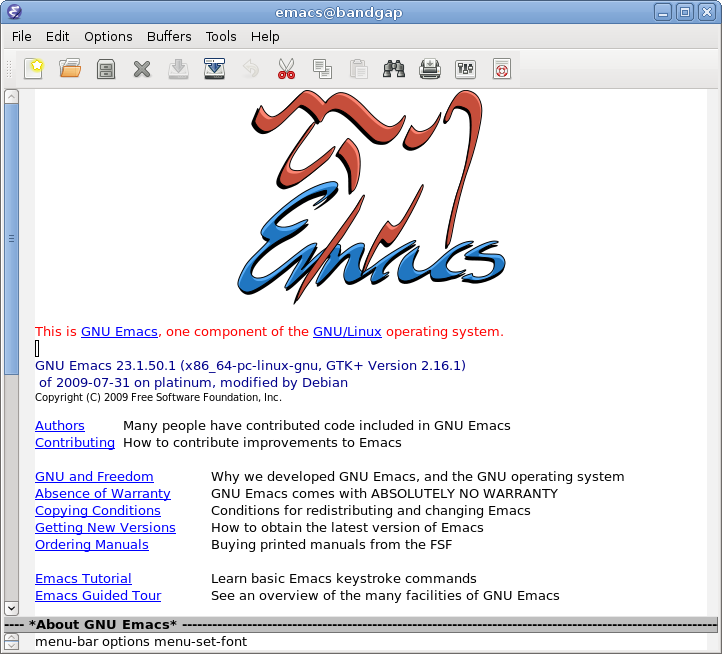 If you need more information please contact the developers of GNU Emacs (Free Software Foundation, Inc.), or check out their product website.